As Associate Editor at Mamamia, Australia’s largest independent women’s website, Georgie Dent is prepared to voice her opinions. What this now-seasoned commentator wasn’t prepared for, however, was the staggering amount of vitriol she received after her first big TV appearance, in September 2013. “I was tempted to never do it again, it was so horrible,” she says. 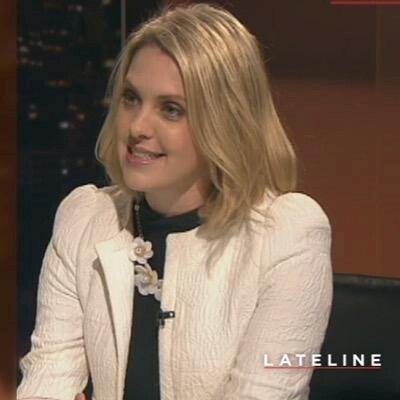 Georgie, then Acting Editor at Women’s Agenda, was invited on to Sky TV’s Paul Murray Live program, a one-hour show canvassing multiple topics with multiple guests. However, the big topic that day was a 5000-word essay written by dumped Labor leader Julia Gillard, published on The Guardian website. A week previously Labor, led by a resurrected Kevin Rudd, had lost the federal election to Tony Abbott’s Coalition. Georgie’s view was that Julia Gillard had done the honourable thing by staying silent throughout the campaign but now that the election was over, her lengthy, considered piece deserved thoughtful consideration. “I’ve since learnt that Julia Gillard is a very divisive subject!” she says ruefully. Many of the show’s viewers felt Georgie was defending a rascal and a troublemaker. When she realised the extent of the attacks and their personal nature, she was shocked. Fast-forward two and a half years and Georgie Dent’s opinions are in strong demand, requested by programs and publications such as The Drum, Sky News, The Morning Show, The Today Show, Lateline, the Herald Sun and ABC News 24. Having a strong media profile was never her ambition but the same time, this former lawyer and journalist says it doesn’t feel foreign. And a little vitriol now and then isn’t going to stop her.